Are physical limitations or pain impacting your ability to move, function and enjoy life? If so, it’s time to GET FYZICAL®! 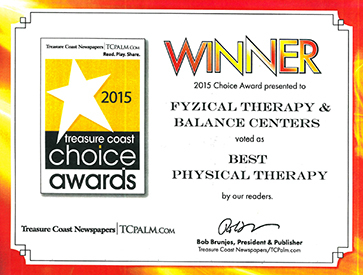 FYZICAL Treasure Coast is unlike any therapy clinic you’ve been to before. At FYZICAL, our highly skilled, compassionate team of physical therapists are 100% focused on achieving optimal health and wellness for you so you can get back to living the life you enjoy. Unlike other therapy clinics, you will receive a specific program designed uniquely for you. NO 'one program fits all' here. There is NO other you! 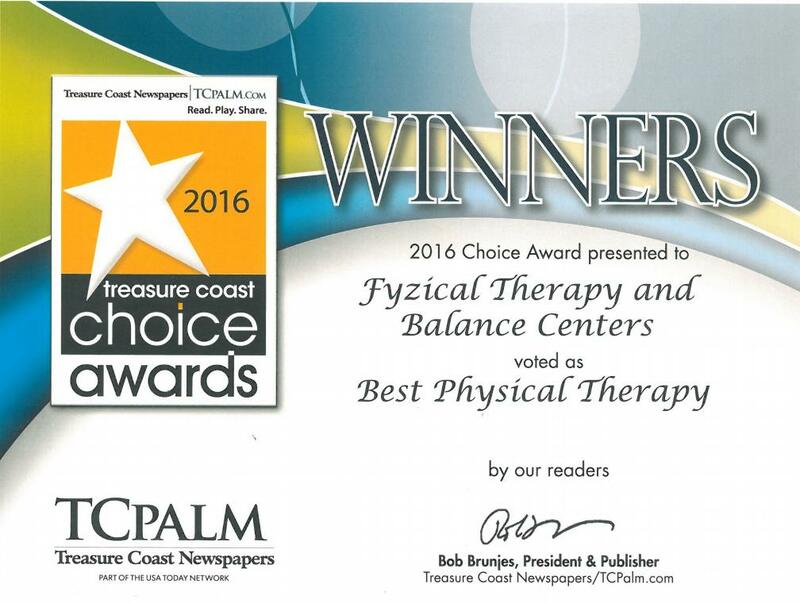 At FYZICAL Treasure Coast, not only will we fix what is broken, but through our comprehensive programs you will discover how to achieve the pinnacle of healthy living, expand your boundaries and feel better. At FYZICAL, you will receive hands-on therapy treatments by our friendly, caring health experts during focused and individualized sessions. Yes, I would like to receive newsletters from FYZICAL Treasure Coast.